Today, parenting means finding a balance between time spent on devices and screen-free time. This isn’t so different from days when parents were tasked with setting limits on what programs you could watch on TV, how close you were allowed to sit to the TV, and how many hours you could watch per day. Now that devices are mobile and potentially available all the time, there’s an increased need for parents to monitor appropriate use of technology. 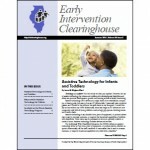 For children younger than 18 months, screen time should be avoided (other than video chatting). For children 18–24 months, you may watch digital media with your children. By watching media together, your children learn from watching and talking with you about the video content. For children ages 2–5, you may limit screen time one hour per day of high-quality programming. Again, watching together is best. This enables young children to be retaught in the real world what they learned through a screen. A really simple rule to remember when it comes to screen time and young children is engagement. If you are watching a video about letters, you can work with your child to identify letters in your home or in the community. For example, if the video mentioned the letter “d,” you can reiterate this later when you are having dinner or petting the dog. If your child has a doctor’s or dentist’s visit, you may watch a video about going to the doctor/dentist before your child’s visit. This way, you can preview the upcoming visit with your child. This could also work if your child needs X-rays, surgery, or an invasive procedure. If you are trying to create a bedtime routine, you may include a lullaby or sleeptime video or song. This can become a tradition in your bedtime routine. Also, if your child is sleeping at grandma’s house or is on vacation, you can use the lullaby or video in another location to maintain the bedtime routine there. If you are trying to introduce new foods, you may find a video about the new food. By sharing a video about the food and other children eating the food, you can help model that the food may taste good. Remember, it is important to engage with your child about videos and use screen time selectively. When used appropriately and in moderation, technology can be a great tool! How Do I Choose the Right Apps for My Child? Today’s children live in the digital age. They’re surrounded by technologies such as tablets and smartphones. As a parent, you may have concerns about your child’s technology use. However, if mobile applications (apps) are appropriately selected and used, they can support your child’s learning and provide another opportunity for you to communicate and build a relationship with your young one. Below are four questions you should ask yourself when looking for age-appropriate and developmentally appropriate apps for your child. How does this app help my child achieve his or her learning goals? Before searching for an app, consider what your child needs right now and how the technology might support his or her development and learning. Do you want an app that can support your child’s literacy, language, and communication? Do you want your child to hear a story? For early learners, technology should not be used as a convenient babysitter. It should be used with meaningful purpose and to increase children’s access to learning opportunities. Your child’s IFSP can give you an idea of the goals and objectives you might want to address. 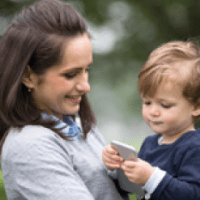 Is the app age-appropriate and developmentally appropriate for my child? When choosing toys or apps for your child, it’s important to be aware of your child’s interests and what they are able to do at their current age. One size cannot fit all. Not every 2-year-old child has the same interests and learns in the same way. Try the app first before you introduce it to your child to make sure the app provides clear instructions and appropriate feedback, meets the needs of your child, and does not use inappropriate language and images. Can this app foster a real-world connection? Technology should be used to supplement learning and should not be a replacement for real-world exploration and face-to-face interaction. When selecting an app for your child, consider how its content might be used in a real-world context. How can you connect the app to your everyday routines? Is this app engaging and challenging enough for my child? Children learn best when they’re engaged in activities that are challenging for them. Try to use the app with your child and observe whether it offers different levels of difficulty and is not too frustrating for your child to use. We hope that answering these four questions will help you decide what learning apps are best for your child. But remember that interaction between you and your child is still what matters most. Limit the amount of time your child spends in front of a screen. To ensure that your child spends high-quality learning time with the technology, interact with him or her during their screen time. That’s when technology can be most effective. 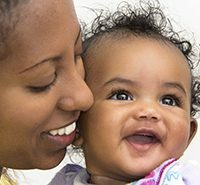 A primary focus of early intervention services is enhancing the family’s capacity to meet the developmental needs of their infant or toddler. We do this through the provision of family-centered services. These services are intended to promote family participation in the decision-making related to their child and to support families in achieving the outcomes they have for their child and family. This occurs through active engagement in service provision. The State’s Systemic Improvement Plan (SSIP) has a strong focus on family engagement. We believe that supporting families in their efforts to help their children develop and learn will lead to improvements in infants’ and toddlers’ development as well as improved acquisition and use of knowledge and skills. Providers in our pilot sites will be working on enhancing their coaching skills and providing services within the context of families’ daily routines. We are excited to see how these changes impact families’ efforts to support their children develop and learn!